Lily Ring. 925 Sterling Silver and 6 Carat Cubic Zirconia Stone. High Quality Ring. Bridal Ring. 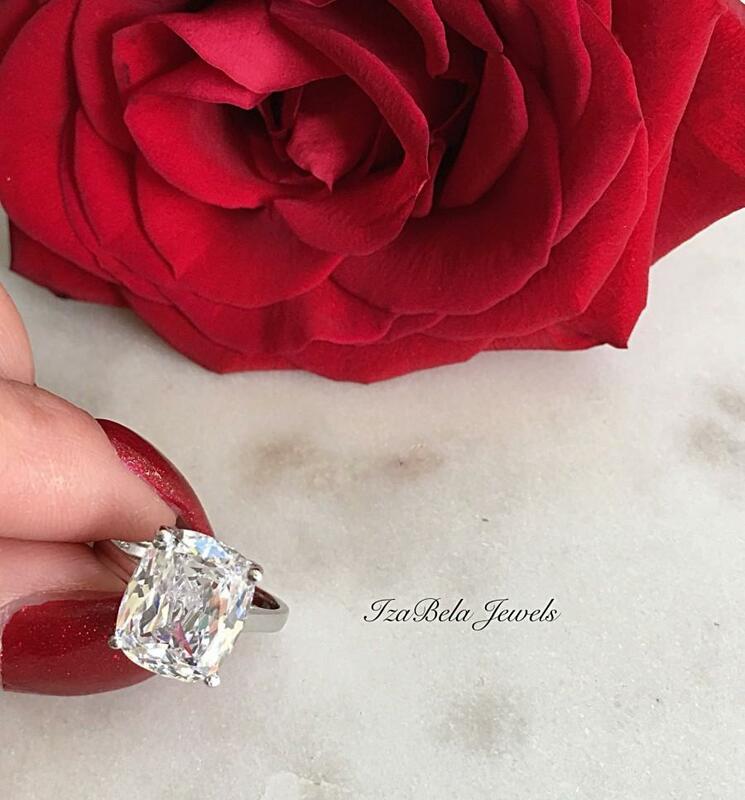 Cushion Cut Ring. Big Diamond CZ Ring. New item promotion. $10 OFF. Regular price $49. Absolutely gorgeous ring with 6 carat high shine cubic zirconia stone and 925 sterling silver. Stamp on the inside. Looks and shines like a real diamond at a fraction of the cost. TOP QUALITY! Sold out sizes re-stock in about 7 business days. Preorder available. Please contact me. Gift box included.